The Nigerian Army has released the list of successful candidates for the 2019 Direct Short Service Commission Course 24 and Short Service Combatant Course 45. - Click to read more.. The Nigerian Army has released the list of successful candidates for Direct Short Service Commission Course 24/2019. The underlisted candidates were successful at the Direct Short Service Commission Selection Board 2019 and are to report for officer cadet training at the Nigerian Army School of Infantry (NASI), Jaji - Kaduna: - Click to read more.. The Nigerian Army has released the list of admitted candidates for the Short Service Combatant (SSC) Commission Course 45/2019. The Candidates shortlisted below are to report for the Short Service Combatant Course 45/2019 Selection Board are to report for officer cadet training at the Nigerian Defence Academy (Old Site), Kaduna from: - Click to read more.. The Nigerian Army is currently recruiting massively for the 78 Regular Recruits Intake 2019 for Trades / Non Tradesmen and Women. N.B: NA Recruitment form is FREE! - Click to read more.. The Nigerian Army, is currently recruiting massively for eligible Nigerians for commission into the Nigerian Army as Direct Short Service Commission Officers and Short Service Combatant Commission Officers. - Click to read more.. The Nigerian Army, invites applications from eligible Nigerians for the position of: Army Corps Officer - Supply and Transport. (DSSC). 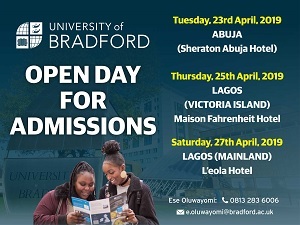 Interested candidates should possess a minimum of B.Sc, BA degree or HND in any of the following areas: Catering and Hotel Management, Food Technology, Shipping and Supply Chain Management, Business Administration, Economics or Marketing. - Click to read more.. The Nigerian Army, invites applications from eligible Nigerians for the position of: Electrical Engineer. Interested candidates should possess a minimum of B.Eng or HND in Electrical Electronics Engineering. - Click to read more.. The Nigerian Army, invites applications from eligible Nigerians for the position of: Aerospace/Aeronautical Engineer (DSSC). Interested candidates should possess minimum of a B.Eng or HND in Aerospace/Aeronautical Engineering, with other relevant trade qualification from government - approved institutions, with at least 3 years work experience. - Click to read more.. The Nigerian Army, invites applications from eligible Nigerians for the position of: Mechanical Engineer. Interested candidates should possess a minimum of B Eng or HND in Mechanical Engineering, with at least 2 years work experience. - Click to read more.. The Nigerian Army, invites applications from eligible Nigerians for the position of: Air Traffic Controller. Interested candidates should possess B.Sc in Geography/Physics/Mathematics with NCAA approved Air Traffic Control License. - Click to read more.. The Nigerian Army, invites applications from eligible Nigerians for the position of: Fire Fighter (DSSC). Interested candidates should possess B.Sc in Chemistry/Physics. - Click to read more.. The Nigerian Army, invites applications from eligible Nigerians for the position of: Directorate of Army Physical Training. Interested candidates should possess a minimum of degree or HND in Human Kinetics, Physical and Health Education, Sports Administration (PGD), Sport Coaching, Physiotherapy or Sports Psychology. - Click to read more.. The Nigerian Army, invites applications from suitably qualified candidates for the position of: Short Service Combatant (SSC) Commission Officer. The SSC is open to both civilians and serving military personnel. - Click to read more.. The Nigerian Army, invites applications from eligible Nigerians for the position of: Army Signals Officer (DSSC). Interested candidates should possess a minimum of B.Sc degree or HND in any of the following areas: Electrical/Electronic Engineering, Computer Engineering, Telecommunications Engineering, Satellite Communication, Computer Science, Management Information Systems. - Click to read more.. The Nigerian Army, invites applications from eligible Nigerians for the position of: Directorate of Islamic Affairs (DSSC). Interested candidates should possess a minimum of BA, B Ed degree in Arabic and Islamic Studies, LLB Sharia with Diploma in Arabic. - Click to read more.. The Nigerian Army, invites applications from eligible Nigerians for the position of: Directorate of Army Public Relations. Interested candidates should possess a minimum of B.Sc, BA degree or HND in Journalism, Printing, Radio and Television Broadcasting, Radio Operation and Performance, Graphic Design, Public Relations and Advertising. - Click to read more.. The Nigerian Army, invites applications from eligible Nigerians for the position of: Directorate of Chaplain Services (Protestant). Interested candidates should possess a degree in Pastoral Psychology, New Testament Theology, Old Testament Theology, Pastoral Counseling and Child Evangelism from any of the Seminaries/Universities recognized by the NA Directorate of Chaplain Services (Protestant), with at least 5 years experience. - Click to read more.. The Nigerian Army, invites applications from eligible Nigerians for the position of: Directorate of Chaplain Services (Roman Catholic). Interested candidates should possess a minimum of Bachelor's degree in Philosophy and Theology from a Roman Catholic approved seminary, affiliated to a National Universities Commission accredited University or Urbanian University, Rome. - Click to read more.. The Nigerian Army, invites applications from eligible Nigerians for the position of: Nigerian Army Education Officer. Interested candidates should possess a minimum Degree in any of the following areas: B.Sc (Ed) in Chemistry, Physics, Mathematics, Biology, Library/Information Science and B Ed in French, Portuguese, German and English Languages. - Click to read more.. The Nigerian Army, invites applications from eligible Nigerians for the position of: Army Officer - Military Police (DSSC). Interested candidates should possess a minimum of HND, B.Sc, BA or Bachelor of Laws (LLB) degree in Criminology, Sociology, Psychology. - Click to read more.. The Nigerian Army, invites applications from eligible Nigerians for the position of: Army Band Officer (DSSC). Interested candidates should possess minimum of a B.A Degree or HND or equivalent in Music with L.R.A.M and A.R.C.M. - Click to read more.. The Nigerian Army, invites applications from eligible Nigerians for the position of: Nigerian Army Finance Officer. Interested candidates should possess a minimum of BA degree in any of the following areas: Economics, Accountancy, and Business Administration or HND in Business and Accounts. - Click to read more.. The Nigerian Army, invites applications from eligible Nigerians for the position of: Army Intelligence Officer (DSSC). Interested candidates should possess a minimum of B.Sc, BA degree or HND in any of the following areas: Psychology, Computer Information Management, Computer Data mining, Intelligence Analysis, Forensic Science. - Click to read more.. The Nigerian Army, invites applications from eligible Nigerians for the position of: Professionals, Allied to Medicine. Interested candidates should possess a degree in any of the following areas: Radiology - Medical Image Science, Hospital Administration, BMLS, AIMLS, and AIMLT - Medical Laboratory Science, Physiotherapy, Environmental Health Workers, Nutrition/Dietetics, Health Service Administration and Health Information Management. - Click to read more.. The Nigerian Army, invites applications from eligible Nigerians for the position of: Army Ordnance Officer (DSSC). Interested candidates should possess minimum of B.Sc, B.Engr, B.A Degree or HND in any of the following areas: Purchasing and Supply, Chemistry, Computer Science & Engineering, Economics, Business Administration, Ballistics, Physics, Production Engineering, Textile & Material Management, Logistics & Supply Management and Public Administration. - Click to read more.. The Nigerian Army, invites applications from eligible Nigerians for the position of: Clinical Psychologist (DSSC). Interested candidates should possess a B.Sc in Clinical Psychology. - Click to read more.. The Nigerian Army, invites applications from eligible Nigerians for the position of: Nurse. Interested candidates should possess B.Sc in Nursing with full registration with the Nursing and Midwifery Council of Nigeria. - Click to read more.. The Nigerian Army, invites applications from eligible Nigerians for the position of: Dental Therapist and Dental Technologist (DSSC). Interested candidates should possess a minimum of B.Sc, BA degree or HND in any of the following areas: Catering and Hotel Management, Food Technology, Shipping and Supply Chain Management, Business Administration, Economics or Marketing. - Click to read more.. The Nigerian Army, invites applications from eligible Nigerians for the position of: Pharmacist (DSSC). Interested candidates should possess a minimum of Bachelor of Pharmacy. - Click to read more.. The Nigerian Army, invites applications from eligible Nigerians for the position of: Optometrist. Interested candidates should possess Doctor of Optometry (O.D.) degree. - Click to read more.. The Nigerian Army, invites applications from eligible Nigerians for the position of: General Duty Medical/Dental Officer. Interested candidates should possess MBBS/BDS or equivalent, with at least 5 years experience. - Click to read more.. The Nigerian Army, invites applications from eligible Nigerians for the position of: Medical and Dental Consultant (DSSC). Interested candidates must be Fellow of the National Postgraduate Medical College of Nigeria or equivalent Postgraduate Medical College. - Click to read more.. The Nigerian Army, invites applications from eligible Nigerians for the position of: Army Electrical and Mechanical Engineer (DSSC). Interested candidates should possess a minimum of B.Eng, B.Sc (Eng) or HND in Automotive, Electronics, Mechatronics, Systems, Weapon and Marine Engineering or other related fields. - Click to read more.. The Nigerian Army, invites applications from eligible Nigerians for the position of: Army Engineer (DSSC). Interested candidates should possess B.Sc (Eng), B.Engr. degree or HND in any of the following areas: Civil, Electrical, Mechanical and Building Engineering, Architecture, Quantity/Estate/Land Surveying, Town Planning, Geology or Geographic Information Systems. - Click to read more.. The Nigerian Army has opened up on reports of ethnic discrimination in its recent recruitment exercise in a statement released by the Director of Army Public Relations in Abuja. - Click to read more.. The Nigerian Army wishes to inform members of the public and all interested qualified applicants that, they have commence their online registration for the 77 Regular Recruit Intake for both Trades and Non Tradesmen and women into the Nigerian Army from 29th December 2017 to 9th February 2018. - Click to read more.. The Nigerian Army, is currently recruiting massively for the 77 Regular Recruits Intake 2018 for Trades / Non Tradesmen and Women: - Click to read more.. The Nigerian Army, invites applications from eligible Nigerians for the position of: Military Police. The position is required Nationwide. Interested candidates should possess WASSCE/GCE/NECO/NABTEB certificate. - Click to read more.. The Nigerian Army, invites applications from eligible Nigerians for the position of: Finance Corp. The position is required Nationwide. Interested candidates should possess WASSCE/GCE/NECO/NABTEB. - Click to read more.. The Nigerian Army, invites applications from eligible Nigerians for the position of: Chaplain (Protestant). The position is required Nationwide. Interested candidates should possess WASSCE/GCE/NECO/NABTEB/NCE in Christian Education. - Click to read more.. The Nigerian Army, invites applications from eligible Nigerians for the position of: Chaplain (Islamic). The position is required Nationwide. Interested candidates should possess WASSCE/GCE/NECO/NABTEB certificate. - Click to read more.. The Nigerian Army, invites applications from eligible Nigerians for the position of: Chaplain (Roman Catholic). The position is required Nationwide. Interested candidates should possess WASSCE/GCE/NECO/NABTEB qualification. - Click to read more.. The Nigerian Army, invites applications from eligible Nigerians for the position of: Public Address Operator/Audiographer. The position is required Nationwide. Interested candidates should possess WASSCE/GCE/NECO/NABTEB/OND/Trade Test/City and Guild Certificate, OND in Journalism or its equivalent from approved Institutions. - Click to read more.. The Nigerian Army, invites applications from eligible Nigerians for the position of: Graphic Designer. The position is required Nationwide. Interested candidates should possess WASSCE/GCE/NECO/NABTEB/OND/Trade Test/City and Guild Certificate, OND in Journalism or its equivalent from approved Institutions. - Click to read more.. The Nigerian Army, invites applications from eligible Nigerians for the position of: Video Technician. The position is required Nationwide. Interested candidates should possess WASSCE/GCE/NECO/NABTEB/OND/Trade Test/City and Guild Certificate, OND in Journalism or its equivalent from approved Institutions. - Click to read more.. The Nigerian Army, invites applications from eligible Nigerians for the position of: Electrical Technician. The position is required Nationwide. Interested candidates should possess WASSCE/GCE/NECO/NABTEB/OND in Electrical Electronics, ND/Test Certificate in Domestic Electronics. - Click to read more.. The Nigerian Army, invites applications from eligible Nigerians for the position of: Mechanical Technician. The position is required Nationwide. Interested candidates should possess WASSCE/GCE/NECO/NABTEB/OND in Mechanical Engineering. - Click to read more.. The Nigerian Army, invites applications from eligible Nigerians for the position of: Video Cameraman/Woman. The position is required Nationwide. Interested candidates should possess WASSCE/GCE/NECO/NABTEB/OND/Trade Test/City and Guild Certificate, OND in Journalism or its equivalent from approved Institutions. - Click to read more.. The Nigerian Army, invites applications from eligible Nigerians for the position of: Instrumentalist. The position is required Nationwide. Interested candidates should possess WASSCE/GCE/NECO/NABTEB/OND/City & Guilds certificate. - Click to read more.. The Nigerian Army, invites applications from eligible Nigerians for the position of: Photographer. The position is required Nationwide. Interested candidates should possess WASSCE/GCE/NECO/NABTEB/OND/Trade Test/City and Guild Certificate, OND in Journalism or its equivalent from approved Institutions. - Click to read more..